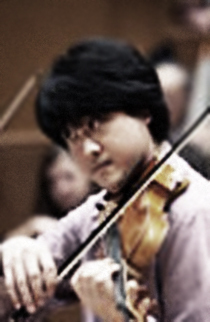 Junichiro Murakami, viola, was born in 1977 and graduated from Toho Gakuen College of Music in 2000. He studied viola with Mazumi Tanamura, and chamber music with Hakuro Mouri, Ko-ichiro Harada and Piero Farulli. He has also participated in several music courses such as the Seiji Ozawa Ongaku-juku Opera Project. As a performer, he has been invited to many prestigious festivals in Japan, including Saito Kinen Festival Matsumoto (1999, 2001, 2002), Miyazaki International Chamber Music Festival and Kurashiki Music Festival; he was awarded Outstanding Young Artist Prize at Ogaki Music Festival in 2001. He was prize-winner at the Awaji-shima Viola Competition and also won First Prize at the Tokyo Chamber Music Competition. Currently Performance Fellow at Toho Gakuen, he has received a Japanese Government Scholarship to study in Italy, where he has resided since September 2004.